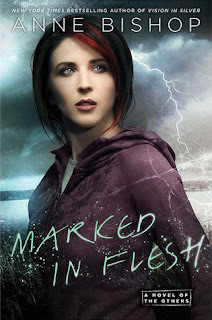 I've read one of Tina Connolly's adult titles, Ironskin, and, while it didn't overly wow me, I was interested in trying out her new YA book. Seriously Wicked definitely dove into YA--a little too much for my taste. I was looking for more magic, less teenage angst and romance. 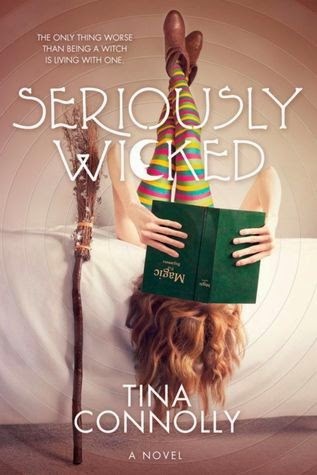 Seriously Wicked is a generally fun, quick read about a teenager struggling to balance a magical home life with normal school and friends. The plot pulls you along toward an explosive ending, but the journey could have been more...magical. Cam, the MC, is a little on the passive side. Granted, her adoptive mother, the witch, can spell her into obedience by means of any number of magical punishments, but it extends to other situations. After the witch summons a demon and sets her grand scheme into action, there are strange things happening all around. Cam reacts to some of it, but she never takes charge and plots a definite course for herself. She's kind of floating along until the last third or so. Even at that point, there's a lot of prep and not much doing. 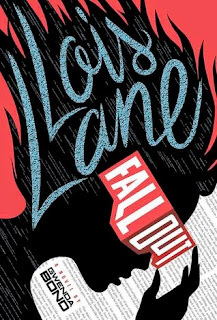 The emphasis on romance, crushes, boys, etc., while par for the course in YA, seemed a bit much considering the life and death circumstances. 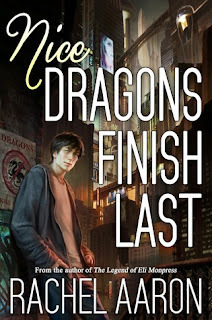 I believe this is symptomatic of what is, for me, a larger issue: even though there are several "magical beings" around, the book feels more like a high school, slice-of-life drama than magic fantasy most of the time. All these concerns about the popular crowd and clothes and dances and friends and secrets and grades and boys (and more boys)? I was hoping for more dragons and magic, but it seems that other characters do most of the magic off-screen. It probably doesn't help that, when there is magic going on, Cam either decries it or tries to ignore it. The end, despite displaying lots of magic and (spoiler) ending happily, throws in some big reveals that kind of fly out of nowhere. There are hints throughout the story, but...it still feels a little out of left field. And brings up lots of other questions, not all of which reflect well on the MC. Final verdict: on the bright side, Cam finally learns to rely on her friends and (pardon the motivational poster line) be the change she wants to see. On the dark side, it takes a pretty long time to get there. 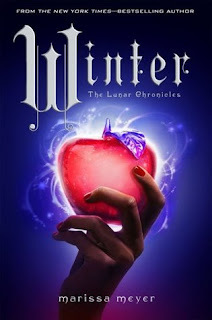 Still, I can see this extra light urban fantasy appealing to fantasy and contemporary YA readers. LOL what. 2.3 stars. Hahaha. Is there some sort of formula? :D In any case, I don't think I ever considered reading this book and I definitely won't, given that, errrr, 2.3 star rating. This seems a bit busy. Fabulous review, Kel! Hope you're doing well. It's a very specific, formulaic...yeah, I just picked a number. ;) Slightly better than just okay or "meh," but too typical YA for me. 2.3 stars?? That's new :) The synopsis itself makes it sound like it will be full of teenage girl drama. Did it attempt to be humorous as well? I could see a 'Ella Enchanted' vibe going on here. Slightly better than 2 stars. ;) I think it was trying to be humorous, but a lot of the humor fell a little flat for me. 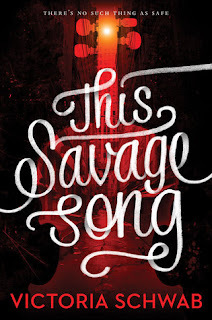 Well argh I'm not normally a contemp reader indeed I'm not a fan of it so I wonder how this will sit with me. I'm not sure, but if the high school drama component in contemporary tends to get on your nerves, it's probably a safe skip.